So, you’ve caught the watch bug. Welcome to the club. Next thing you know you’ve saved up a bit of money and now you’re eager to start your journey into the watch collecting world. What are the best watches to start your own watch collection with? Watch collecting is very much a personal thing. Lifestyle, taste and budget are just a few factors that can influence the way a collection takes shape. Accordingly the answer to a question such as the above will wildly vary from one collector to another – though I’m sure every seasoned watch freak will have a few tips at hand for those new to the game. For me, a first proper watch ideally has a timeless and classic look. This way you know it’ll look good for many years to come. I’s prefer it to be from a established manufacturer for the same reason. No Kickstarter or other potential one-hit-wonders. As such it’d be nice for it to be versatile when it comes to bracelets and straps, so it can be dressed up and and down depending on the situation and your mood. Last but not least, I think it shouldn’t be too complicated. A date and / or chronograph tops. While I’m not saying complicated watches can’t be trustworthy daily companions, we’re going to stick to the KISS principle on this one. 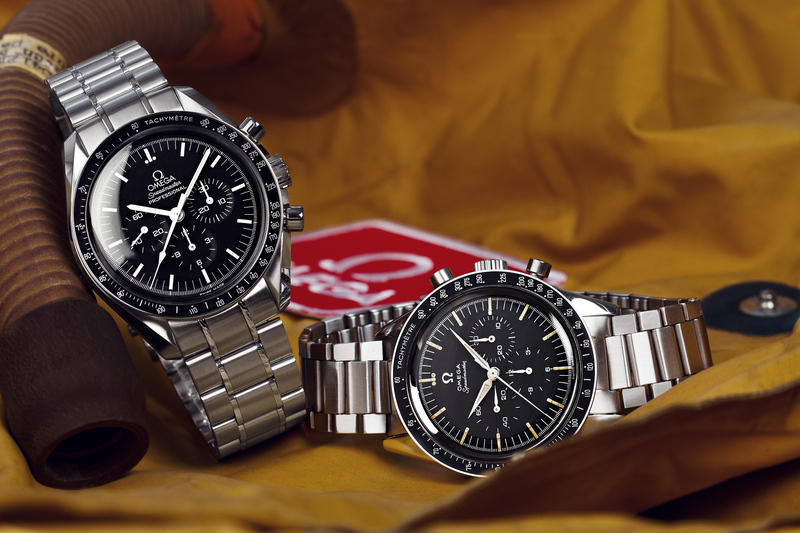 The Speedmaster Professional is the answer to most watch-related questions, including this one. It has the looks and history. Although the price has gone up with the introduction of the Big Box, a new one still represents good value compared to many other watches. If that’s still out of budget there’s a lot of pre-owned ones out there. If you want a bit of extra magic you can go vintage, or go with one of the limited edition versions. Be prepared to pay up for the latter two options though. 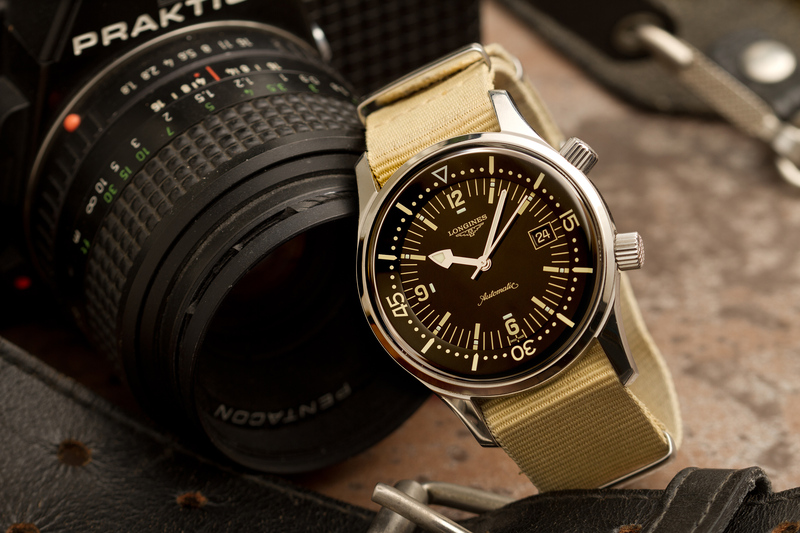 The Longines Legend Diver was introduced 10 years ago, can you believe that? Retro before it was hipster. It still looks as fresh as the day it was [re-]born in my opinion. I’ve owned mine for about 6 years and still wear it regularly. It does wear fairly large so make sure it fits your wrist. 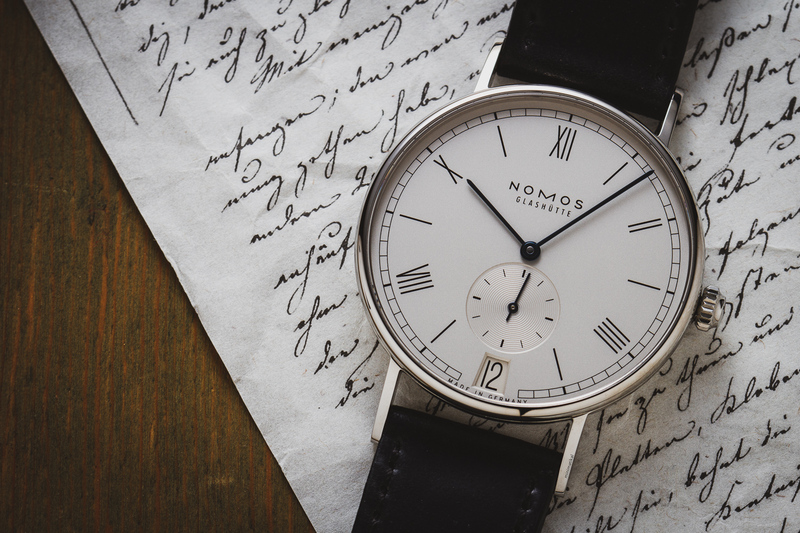 To be honest I could’ve gone with any NOMOS, but I had the picture of this Ludwig Datum on hand. Each and any of them offers tremendous value for money, thoughtful design, and quality construction. Even the entry-level Club is a watch that punches well above its weight. 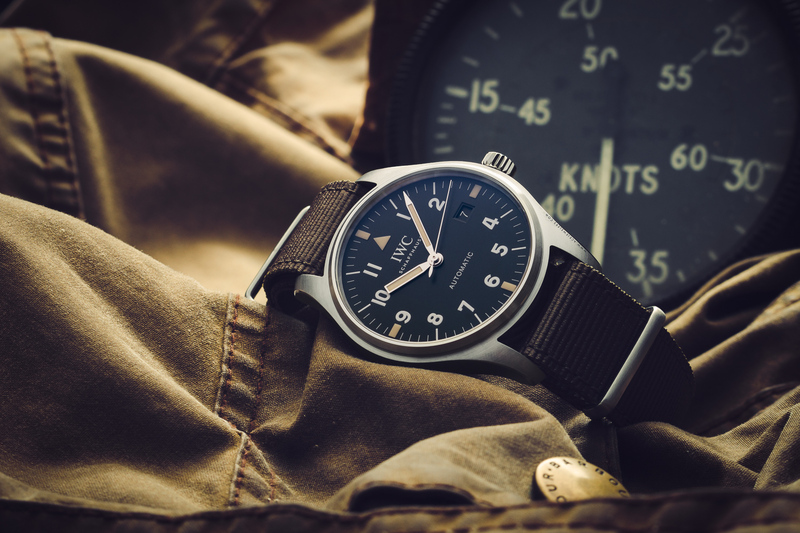 The IWC Pilot’s Watch is another iconic design hat is vigorous enough to serve as a staple piece in a budding collection. It’s one of those watches that you’ll keep coming back to, even when other options have presented themselves. Fair enough, the movement is not that different to the one in the Legend Diver above while the price is easily double that, but hey: it’s IWC. Older generations are beautiful too, especially the XVI and XV. I’d like to point out that there are many ways to start a watch collection, and that these are just four examples. There are too many other great choices in a wide variety of price ranges – from Swatch and Casio G-Shock to the stratospheric.